In 2012, Alu-Rex launched its Pro Series brand image to reinforce its business relationship with its network of professional installers. 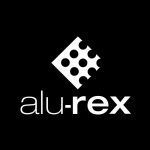 This logo thus represents the range of professional-standard products manufactured by Alu-Rex. Consequently, when you see the Alu-Rex Pro Series logo, you’ll know that you are purchasing professional-standard products that you can’t install on your own. We wish to remind you though that professional installers are independent from Alu-Rex. It is your responsibility to select your installer carefully and check his credentials.